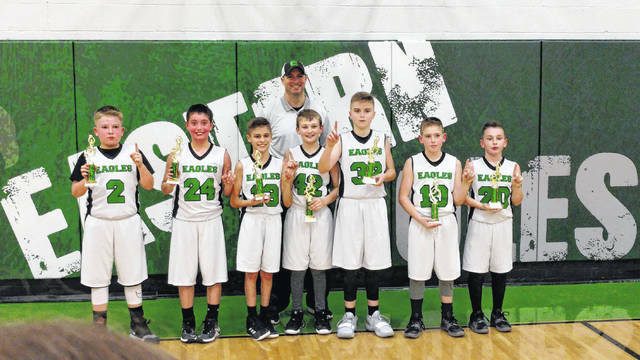 Eastern Eagles 5th grade boys basketball team earned both the league and tournament championships of the Big Bend League for the 2018-19 season. Players (from left to right) are Lane Atha, Jace Stevens, Derrick Barnes, Hayden Wilcoxen, Colton Lloyd, Ethan Edwards, Hunter Needs. Head Coach is Greg Lloyd.